Rangers on the trail, a photo by The Bacher Family on Flickr. 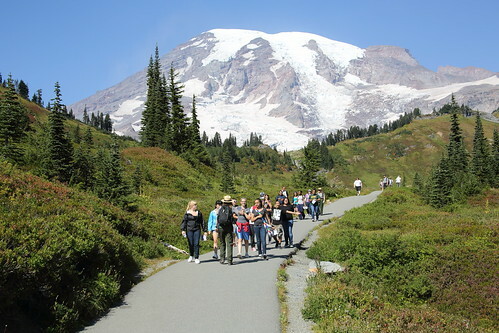 On any given day at Mount Rainier National Park, there's an impressive chance that you might cross paths (so to speak) with one of our park rangers working with a school group. 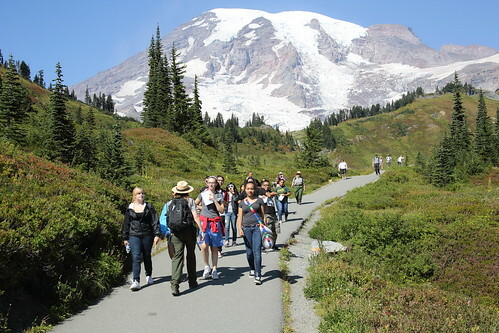 In many cases -- like this one -- this may be the very first time the kids have visited a National Park, and the experience we provide for them is an important first step toward their decision to be environmentally aware citizens and even, perhaps, park rangers themselves! 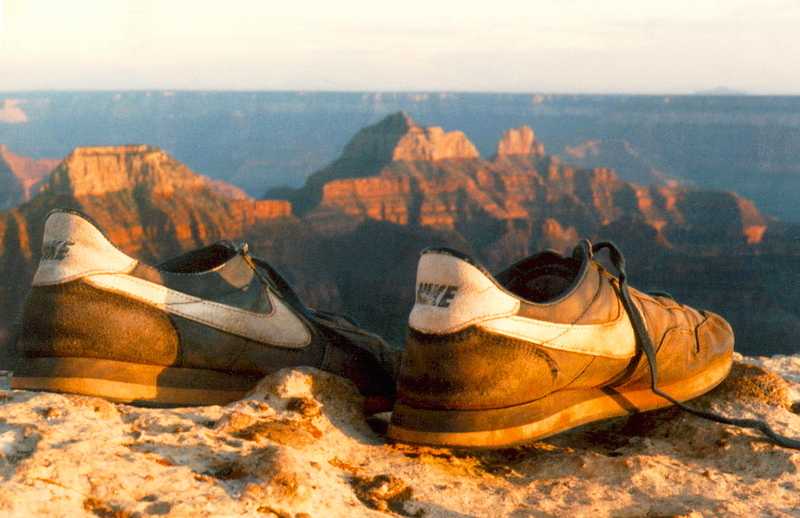 This photo is on the Myrtle Falls section of the Skyline Trail. I love the fall colors just beginning to appear, the detail visible in the mountain, and the trail leading the eye into the distance.